One of the hottest trends across the country, copper gutters and copper rain gutter accessories are visually appealing, instantly boosting your home’s curb appeal. The look of copper goes well with all exterior finishes, but looks exceptional on brick and siding. A quality, durable material, copper will last even through the harshest weather, which means it is a great investment for your home or building. There is no time better than right now to replace your old rain gutter system with a brand new copper system! Whether you are contemplating repairing your old gutters or replacing them altogether, you will want to give copper gutters a close look. They are a great option, both aesthetically and practically. But what do copper gutters cost, you ask? The price varies from brand to brand and to your home or building’s specific needs. We are happy to come out and give you an estimate for what it will take to get your new copper gutters installed from start to finish. We can assure you that the result of newly installed copper rain gutters is priceless! 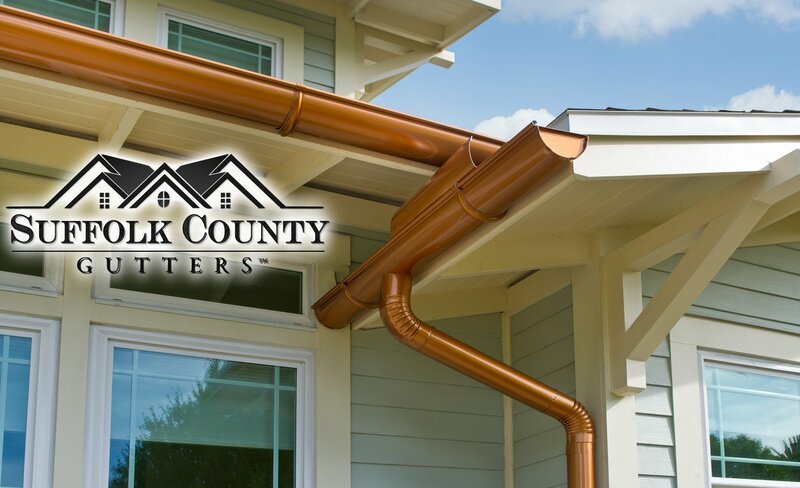 Allow us at Suffolk County Gutters to give you a free estimate for installing new copper rain gutters today!